Via EarthSky, a 1.5 billion pixel image of Andromeda galaxy, interpreted as a “fly-through.” The image is huge (69,536 x 22,230). From clouds dancing across the Milky Way to a stunning solar eclipse over Kenya, the annual competition showcasing the mysterious depths of our universe has revealed some incredible images. West Midlands-based photographer James Woodend beat over a thousand amateur and professional photographers from around the world to win the title of Astronomy Photographer of the Year 2014. As well as securing the £1,500 ($2,440) top prize, his image takes pride of place in the exhibition of winning photographs opening today at the Royal Observatory Greenwich. 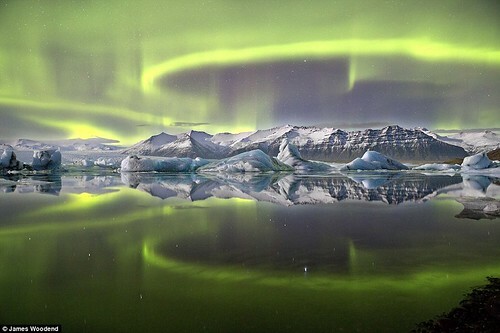 The judges were mesmerised by Woodend’s shot portraying a vivid green aurora dancing across the Icelandic night sky and reflected symmetrically in the glacial Jökulsarlon lagoon of Vatnajökull National Park. Competition judge and Royal Observatory Public Astronomer, Dr Marek Kukula said: ‘I love the combination of whites and blue in the glacier with the chilly green of the aurora in this wonderfully icy picture. ‘We’ve had some amazing aurora pictures in the competition over the last six years, but this is the first time a photo of the Northern Lights has actually won the Astronomy Photographer of the Year prize. That really is a stunning image! Some of the others receiving commendation include the Horsehead Nebula, IC 1340 (part of the Veil Nebula), Helix Nebula, NGC 1999 and the surface of the Sun. They’re on display now at the Royal Observatory’s Astronomy Centre in Greenwich (18 September 2014 to 22 February 2015). 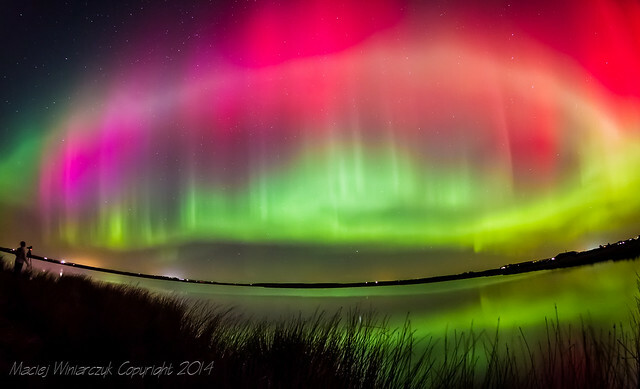 Let’s move on to the other spectacle in Scotland recently: the aurora borealis! You’ve got to see Maciej Winiarczyk’s beautiful photos! While most of the singularities of General Relativity are expected to be safely hidden behind event horizons by the cosmic censorship conjecture, we happen to live in the causal future of the classical big bang singularity, whose resolution constitutes the active field of early universe cosmology. Could the big bang be also hidden behind a causal horizon, making us immune to the decadent impacts of a naked singularity? We describe a braneworld description of cosmology with both 4d induced and 5d bulk gravity (otherwise known as Dvali-Gabadadze-Porati, or DGP model), which exhibits this feature: The universe emerges as a spherical 3-brane out of the formation of a 5d Schwarzschild black hole. In particular, we show that a pressure singularity of the holographic fluid, discovered earlier, happens inside the white hole horizon, and thus need not be real or imply any pathology. Furthermore, we outline a novel mechanism through which any thermal atmosphere for the brane, with comoving temperature of 20% of the 5D Planck mass can induce scale-invariant primordial curvature perturbations on the brane, circumventing the need for a separate process (such as cosmic inflation) to explain current cosmological observations. Finally, we note that 5D space-time is asymptotically flat, and thus potentially allows an S-matrix or (after minor modifications) AdS/CFT description of the cosmological big bang. 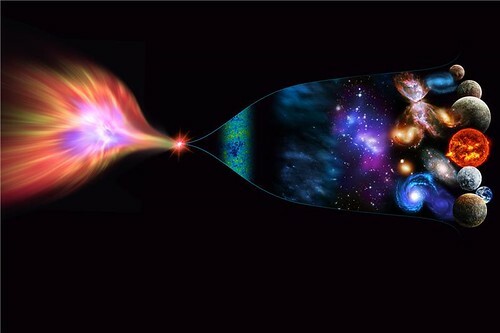 Conventional understanding holds that the big bang began with a singularity — an unfathomably hot and dense phenomenon of spacetime where the standard laws of physics break down. Singularities are bizarre, and our understanding of them is limited. In our three-dimensional universe, black holes have two-dimensional event horizons — that is, they are surrounded by a two-dimensional boundary that marks the “point of no return.” In the case of a four-dimensional universe, a black hole would have a three-dimensional event horizon. In their proposed scenario, our universe was never inside the singularity; rather, it came into being outside an event horizon, protected from the singularity. It originated as — and remains — just one feature in the imploded wreck of a four-dimensional star. 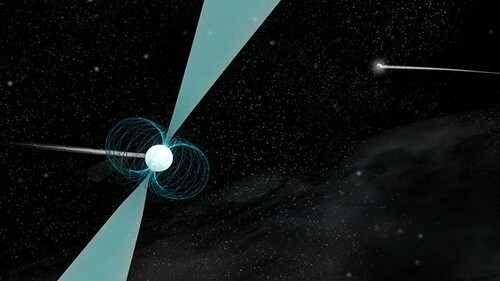 The researchers emphasize that this idea, though it may sound “absurd,” is grounded firmly in the best modern mathematics describing space and time. Specifically, they’ve used the tools of holography to “turn the big bang into a cosmic mirage.” Along the way, their model appears to address long-standing cosmological puzzles and — crucially — produce testable predictions. Still interested? I bet you are! Read more here. Relax: there’s a video on the Perimeter Institute site. What if Saturn was only a million kilometers away? The gravity would kill us all. If you’re curious, click on the video by Yeti Dynamics. 3. the Rings have actually changed a bit between voyager and cassini. To create the rings, I interpolated between the two data sets, so the rings are a mix between Voyager and Cassini data, there are multiple textures used, for scattering, translucency, transparency, and color, I think I probably have some of the highest resolution textures in use anywhere on the web(over 19k pixels across). This will.. never never ever happen, ever (probably). Now’s a really good time to view Saturn. Of course, the best way to get Saturn up on your wall, permanent-like, is to get a Big Bang Print. 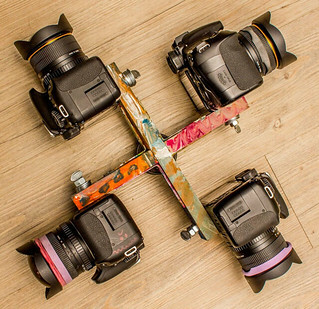 Get ready, watchers of the skies! 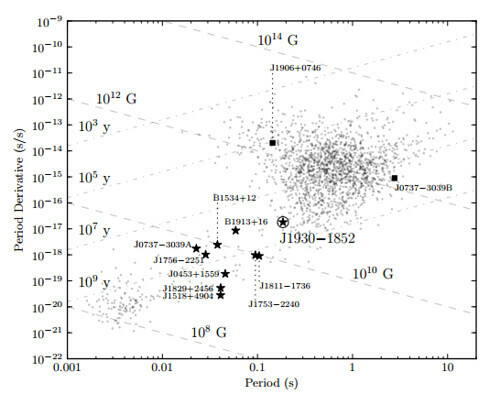 Periodic Comet 209P/LINEAR is predicted to put on a show for us. 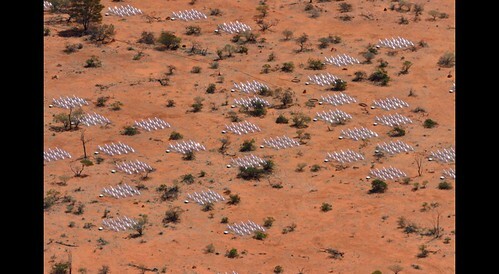 Preliminary results by Esko Lyytinen and Peter Jenniskens, later confirmed by other researchers, predict 209P/LINEAR may cause the next big meteor shower which would come from the constellation Camelopardalis on the night of 23/24 May 2014. There may be 100 to 400 meteors per hour. All the trails from the comet from 1803 through 1924 may intersect Earths orbit during May 2014. The peak activity is expected to occur around 24 May 2014 7h UT when dust trails produced from past returns of the comet may pass 0.0002 AU (30,000 km; 19,000 mi) from Earth. This April 30, 2014 image was taken using the NASA Marshal Space Flight Center 20″ telescope located in New Mexico. A 3-minute exposure, it shows 14th magnitude Comet 209P/LINEAR shining faintly among the stars of Ursa Major. 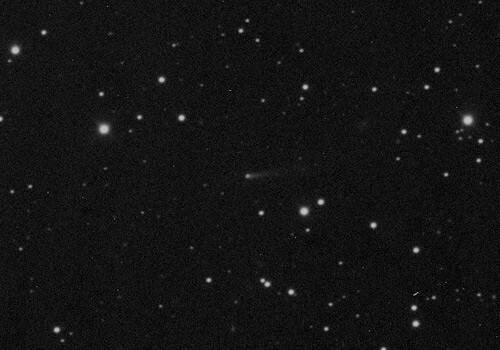 At the time of this image, 209P was just over 40 million km from Earth, heading for a relatively close approach (8.3 million km) with us on May 29, 2014.